Winter is an especially critical time in northern Arizona for preemptive forest thinning, seasonal hiring and other preparations for fire season. But much of this work has been delayed as the federal government shutdown enters its fifth week.  KNAU’s Ryan Heinsius spoke with Paul Summerfelt, Flagstaff’s fire management officer, about what the shutdown could mean for forest health and public safety as the year’s driest months approach. 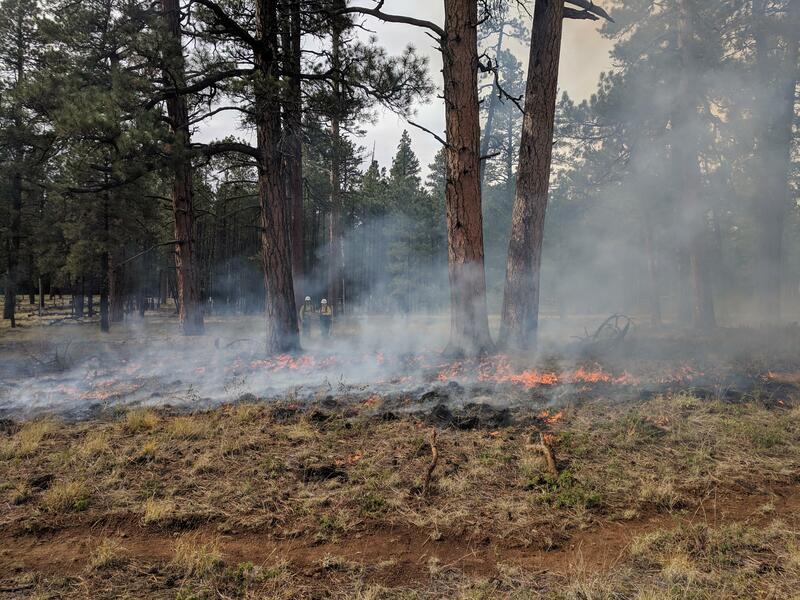 Crews conduct a prescribed burn at the Gus Pearson Natural Area in the Ft. Valley Experimental Forest near Flagstaff in 2018. Ryan Heinsius: What forest work isn’t being done right now that needs to be completed? Paul Summerfelt: The first one is pile burn operations, debris disposal operations that typically occur this time of year in and around Flagstaff. Wildfire management, forest health, all of those things, they’re year-round jobs. They don’t just occur in the summer months. A lot of the work going on now will make a difference, or can make a difference in the future. Work that is delayed now we may not feel the effect until a year or two if the fire occurs in an area that would have been thinned now. But the way you address that is you do preventative work now and you have response capacity when you have the fire. Those are the things that are being impacted. It will be a rush to try and catch up and we may never the longer this goes. American Conservation Experience personnel conduct hand-thinning work in the Schultz Pass area near Flagstaff in 2018 as part of the Flagstaff Watershed Protection Project. RH: Is this delaying potentially making the upcoming fire season more severe? PS: I would say that it is beginning to have an impact on preparedness levels and training levels. We are seeing in various places around the country conferences and training workshops are being cancelled and that affects then students and instructors and whenever those employees come back to work, are they able to attend or not, it’s just building over time. RH: And building over time, so those ripple effects just kind of continue. How do you see those long-term impacts affecting forest treatments in general across the West? PS: This is the time of the year when the federal government, at least in the Southwest, Arizona-New Mexico, is doing fire-hire for the seasonal fire crews that are coming on. That would be initiating beginning now—it’s not. So what does that do as we move further along in this cycle in terms of people being identified, hired, trained, prepared, ready. We’re just backing this thing up to where impacts will become more obvious to folks as we move forward. RH: And hypothetically, if this shutdown does last into what traditionally what is our fire season in northern Arizona, May-June, what happens? PS: Well, that’s a great question and it’s one that we don’t want to contemplate too much. It would not be good. We have the earliest fire season in the country. Our fire season traditionally lasts, typically lasts, year-round. We have wildfires every month of the year. Give us another six weeks to where we’re into mid-March, early March, we could be dry again, and we’ve had fires that time of the year. And the impact will be felt. The average citizen probably won’t see that, but they’ll see it as we get further along to where things that would be occurring now, should be being done now, aren’t, that will impact things moving forward. RH: Are personnel expected to keep working for months on end without being paid? PS: I’ve got to hand it to the folks, the few that are working now that aren’t being paid that we’re working with on the Flagstaff Watershed Protection Project with these contractors and so forth. That is a big ask of them and we greatly appreciate their sacrifice. 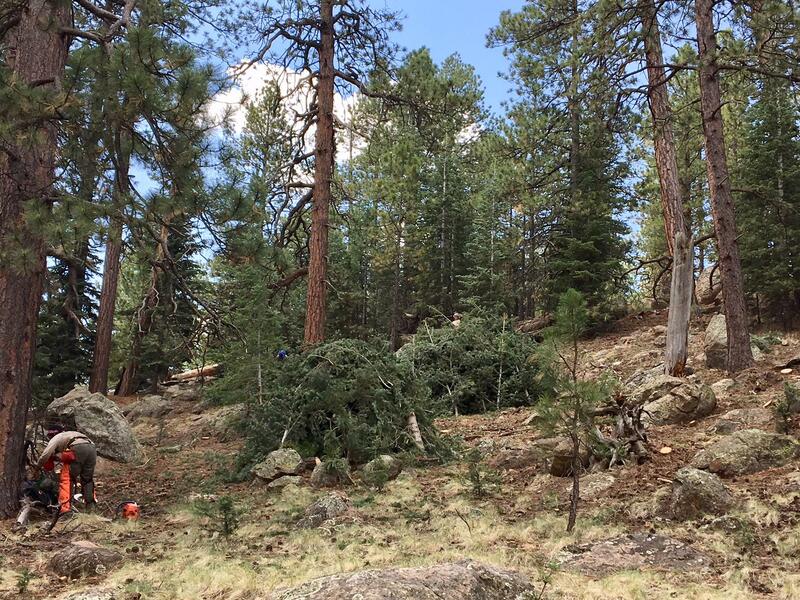 Forest thinning with helicopters will begin this week near Flagstaff as part the Watershed Protection Project. KNAU’s Ryan Heinsius reports, it’s designed to lessen wildfire and flooding danger that could threaten the city’s main water sources. Crescent Moon Ranch beside Arizona’s Oak Creek has gone through many phases since it was first established. The Federal Emergency Management Agency's National Flood Insurance Program is telling people in the Flagstaff area affected by a recent fire that they should protect their homes and families from flash flooding caused by summer rains.